When I was younger, in my teens and much of my twenties, I would staunchly avoid anything that was "in." If everyone was watching it, reading it, wearing it, I was not. Sadly, this meant no Simpsons. Now that I have realized the error of my ways, it's really difficult to catch up on twenty seasons of a brilliant show. All in the name of nonconformity. All of this rambling is just a pretext to explain my desire to read The Shack. I saw it as No. 1 on the bestseller list. It caught my eye browsing at Sam's Club. Reviews popped up on blogs. I wanted in on the action! And so did the members of my book club. 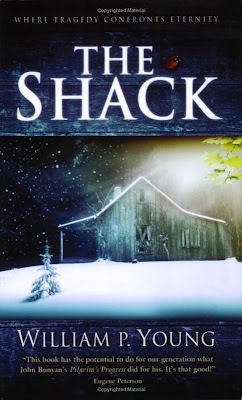 As the back cover notes, "The Shack wrestles with the timeless question: "Where is God in a world so filled with unspeakable pain?" Mack has experienced that pain--his young daughter is kidnapped during a camping trip, and all that is found of her is a bloody dress in an abandoned shack. How could God let this happen? Well, Mack receives a note in his mailbox inviting him to the shack to "get together" with Papa (his wife's name for God) and find out the answer to that question. I only gave myself a day to read this, but I still found myself stopping to ponder for several minutes at a time. While I felt pretty involved in the story, I didn't necessarily agree with everything he said. One member of the book club mentioned that she thought whether a reader liked the book or not depended on whether the ideas put forth "rang true" for the individual. For a couple of people there, it did not ring true at all. I felt like certain parts were very powerful (Chapter 11-Here Come Da Judge) and others just interesting perspectives. The Godhead is presented in such an unusual way. I think those of conservative faiths may find it somewhat sacrilegious, and those without much religious faith may find it silly. I didn't know the background of the publication of this book until I read an article on Wikipedia. Young originally wrote it as a Christmas gift for his children to share with them his beliefs, and had no intention of publishing it. This makes me appreciate the book a little more, because you don't get the idea that he's trying to push his way of thinking on anyone; he's just sharing his own treasured beliefs and obviously a lot of time spent pondering. I usually try to keep my posts short, but this has been an incredibly long and rambling post . If you've actually read all of it, I think you deserve an award! I'm just going to post it without looking too closely at it, or else I might end up erasing it all and writing a seven-word review. After being completely terrified reading the first few pages, I got carried away by this tale of Nobody Owens and the various individuals--whether alive, dead, or somewhere in between--who care for him and teach him about the realities of life and death. For me it is mostly a story about compassion, made even more powerful by the contrasting evil elements throughout. I loved the perfect balance between humor and darkness. The narrative takes some unexpected turns that I did find "off the wall," but they didn't detract from my enjoyment and satisfaction. There are a few unanswered questions in the end, but this usually doesn't bother me. I suppose I should just spit it out: I LOVED IT! I have to confess that I was completely ignorant that Gaiman was inspired by Kipling's The Jungle Book until after reading it. I would like to read it again with that in mind. It may give me a whole new perspective. 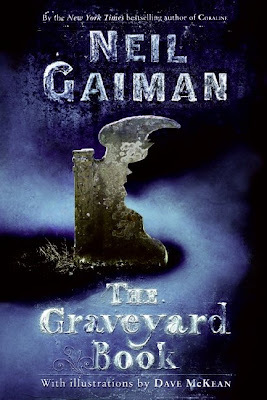 I have read that the audio, narrated by Gaiman himself, is excellent. I know I have read some great reviews about The Graveyard Book other than these that I can't find right now. Please send me a link if you have a review! Just ask Turin and Nienor, the children of the the stalwart Hurin, who refuses to submit when captured by the evil Morgoth. Morgoth answers Hurin's mockery with a curse upon his offspring: "The shadow of my thought shall lie upon them wherever they go, and my hate shall pursue them to the ends of the world." Wherever they go, evil will arise. . .
And that's what the story is about--the dark fate that Turin cannot escape, no matter how many times he changes his name (which is, like, six times.) His inability to avoid hurting those he loves the most. His efforts to avenge his missing father, only to play right into the hands of Morgoth. 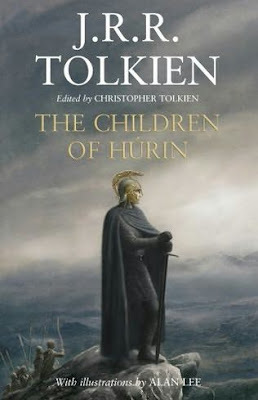 A tragedy worthy of the Greeks, The Children of Hurin is the antithesis of the "feel-good" novel. The big question concerning this posthumous work of Tolkien's is of course whether or not you need to be a fan of The Lord of the Rings to appreciate it. As a fan of both the series and movies, I would say yes. The experience of getting another glimpse of Middle Earth, aided by the stunning illustrations of Stan Lee, carried me through sometimes stiff writing, and the excess of names, place-names and foreboding adages. I can't imagine finding much satisfaction without having been a part of Tolkien's world before, and having a desire to "escape" there if only for a brief time. I do get the impression from the introductory commentary that I would have appreciated it even more if I had read The Silmarillion. Another one to add to my TBR list. My notes, mostly just chapter summaries, can be found here. If you've reviewed this, let me know and I'll add the link! This looks like a great event! Jut log in how many minutes you read with children and have the chance to win prizes. Win-win all the way! Of course there are four of them and only one of me, but I'm happy that they participated. My oldest daughter read all of Blue is for Nightmares, and said it was very scary, and my son read all of The Battle of the Labyrinth, loved it, and wants to read the next one when he can. So we'll be donating $30.00 to Action Against Hunger. Kids reading: The Battle of the Labyrinth, Blue is for Nightmares, The Talented Clementine; Sammy Keyes and the Sisters of Mercy, picture books. 1. Which hour was most daunting for you? All of them after the fifth hour! I was just so tired all day. Last time I didn't get tired until maybe the 22nd hour. 2. Could you list a few high-interest books that you think could keep a Reader engaged for next year? The Ladies No. 1 Detective Agency was perfect. 3. Do you have any suggestions for how to improve the Read-a-thon next year? Nope, it was great as it was. 4. What do you think worked really well in this year’s Read-a-thon? It just seemed very organized and I appreciated that. I didn't even try to Twitter, but it sounded like fun for those who did. 5. How many books did you read? Only 2, and a little bit of another. 8. Which did you enjoy least? Liked them both. 10. How likely are you to participate in the Read-a-thon again? What role would you be likely to take next time? I will read and cheerlead! I have to go to bed now. I don't want to, but because of what I have going on tomorrow I have to. I'll post the final numbers tomorrow! It's been fun. Good luck to those of you going the distance! I have developed a fear of Google Reader--over 500 posts behind. I'm finding I want to do the challenges but just can't exert the mental effort--even for an Amazon gift card. Mental State: Could I be getting a second wind? It's coming. . . it's coming. . . Wait--false alarm. Calorie consumption status: Super stuffed by eating candy to stay awake. Distractions: Getting kids into bed, watching Lego space ship launch, setting up camp chair out back to escape loud movie music and Rock Band. Kids reading: The Battle of the Labyrinth, Blue is for Nightmares, The Talented Clementine; Sammy Keyes and the Sisters of Mercy, picture books, Star Wars: New Jedi Order, Conquest. I had so much more stamina last time! Mental State: UUUUUUUUUHHHHHHHHHH... It took me about five minutes to figure out what hour this was. Calorie consumption status: 13 gazillion and my husband just went to get the pizza. 3. What book are you most looking forward to for the second half of the Read-a-thon? Hunger Games, if I can make it! 4. Did you have to make any special arrangements to free up your whole day? No, but maybe I should have! My husband got home at around hour 11, and I've gone from 8 kids in the house to 4. I'm all set now! 5. Have you had many interruptions? How did you deal with those? I've had a lot, but I expected that. Maybe next time I should go to a hotel! 7. Do you have any suggestions for how to improve the Read-a-thon next year? I think it's been awesome. Can't think of any suggestions. 8. What would you do differently, as a Reader or a Cheerleader, if you were to do this again next year? I think next year I will sign up as a cheerleader. I'm not really sure why I didn't this time. Brainlessness. 9. Are you getting tired yet? I'm way tired! I'm having some allergy problems that are making me feel even more groggy. I feel like my eyes are about to swell shut! 10. Do you have any tips for other Readers or Cheerleaders, something you think is working well for you that others may not have discovered? Just go with the flow. Even if I don't read as much as I would like, I'm still reading more than I would get to on an average day! Mental State: I keep drifting off!!! Nooooo!!! It's so early! Typing skills starting to suffer. Calorie consumption status: More Spinach Artichoke dip with tortilla chips. Hey, it has veggies, alright! Continuing The No. 1 Ladies' Detective Agency. Loving it!! Kids reading: The Talented Clementine; Sammy Keyes and the Sisters of Mercy, picture books. 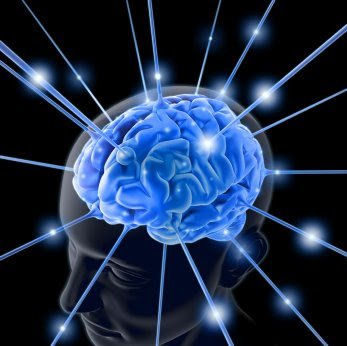 Mental State: A little frustrated that I can't read as much as I want to, but I remember that from last time. It's all good. Distractions: I'm watching three extra kids for a friend, had to pick up daughter from campout, hear about how the campout was, a few phone calls. Kids reading: The Talented Clementine; Sammy Keyes and the Sisters of Mercy, a few picture books. I haven't counted how many blogs I've visited, but maybe 50? I always say I'm only going to visit for 10 minutes an hour, but then I do more! It sounds like everyone is doing great! Mental State: Still going strong! Listened to The Eye of The World by Robert Jordan (I picked up a copy of the book to keep track of how many pages it was worth.) while making Spinach-Artichoke Dip for crockpot and did a little cleaning. Mental State: Bright-eyed and bushy tailed!! Calorie consumption status: So far only hot chocolate. Distractions: Random stopwatch alarm going off repeatedly (have no idea how to turn it off. Hid it in the garage.) Daughter's alarm clock going off (She's not even here.) Allergies. I think I'm allergic to the fifty-year-old book I'm reading. Cumulative number of pages read by kids: The two who are here are still sleeping, other two will join in when they get back from campouts. Titles of Book(s)read: Immortal Wife by Irving Stone. This is my "have-to" reading. I'm going to a book club for this book Tuesday night, and just started it last night. It's entertaining, but not a fast read. I love the musical Les Miserables. Do you have any goals for the read-a-thon (i.e. number of books, number of pages, number of hours, or number of comments on blogs)? No goals--just however much I get to. I would like to visit everyone, but since there are so many participants, that may not be possible! If you’re a veteran read-a-thoner, Any advice for people doing this for the first time? Just take it easy and have a great time! It's 5 a.m. here. I got about 5 hours of sleep last night, but I'm up now with the tea kettle whistling for my hot cocoa. Time to get reading! I'll update every couple of hours. It's almost here! I'm so happy that I have no commitments the day of the Read-a-thon, but I do have some things going on the next day that require at least a little bit of sleep the night before, so for me it will be more of a 19 hour Read-a-thon. I have about six hours of meetings on Sunday in which I have to interact with people, and it could be scary if I've only slept for an hour! This is a family event for us. The kids don't read the whole time, but they have fun reading a little bit more than usual and having snacks. I'm going to stop my own reading every once in a while and read out loud from at least one Mrs. Piggle-Wiggle book. A friend of mine loaned me a boxed set ages ago, and I would like to return it to her someday soon! I've got a Melody Carlson book coming for my fourteen-year-old daughter from Amazon. My 12-year-old son would like to read The Battle of the Labyrinth (Percy Jackson #4) if we can get our hands on a copy. My 9-year-old is planning to read her third Sammy Keyes book (we love these!). And my 7-year-old is going to have a box of pictures books on hand, and may read a little Junie B. Jones. I guess my husband's job is to hold down the fort while we read. Maybe he can fan me and feed me grapes! I have been too busy to put together a collection of books for me to choose from for that day. I know I've got Hunger Games and Lizzie Bright and the Buckminster Boy from the library anxiously waiting for me to open them. (Gary D. Schmidt's Wednesday Wars was my favorite pick from the last read-a-thon.) Hopefully I'll have time later on this week to pick out more. The kids were in charge of deciding which charity to donate to, and they picked Action Against Hunger. We're going to pledge 2 cents per page read. Ironically, we will probably be eating a lot of snacks while reading. We'll just have to be extra grateful for every bite while thinking of those who have so much less. 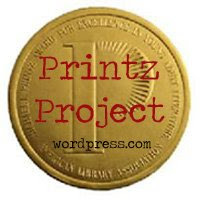 Suey from It's All About Books and Jessica from The Bluestocking Society have launched a perpetual challenge site for reading and reviewing Printz Award books. I love a few challenges with no time limits! It takes a little while to get used to the rhythm of the writing and to get used to the narration by death, but KEEP GOING. It will all be worth it. All five members of my book club enjoyed this book. Read slowly and savor each word. 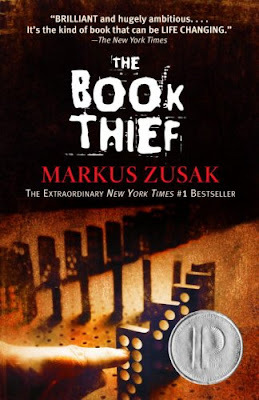 I have notes on The Book Thief here in which I gush even more. I'm sure I'm missing a ton of reviews--if you have one, give me the link! Brit Lit Chick Flicks, etc. From North and South based on Elizabeth Gaskell's novel of the same name--my very favorite! I definitely have reviews to get to, but I thought I would share one of my obsessions--Brit Lit Chick Flicks. I have this on the sidebar of another blog to keep track of the ones I've seen, but I thought I would share it here as well. I've seen these over quite a few years, and not all are technically Brit Lit--some are period pieces of another time or place. Does anyone else have this same obsession? Which are your favorite Brit Lit Chick Flicks/period pieces? I'm always looking for good ones. 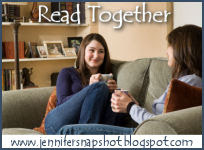 Read Together is a challenge to use reading as a way to connect with your kids. I am inviting each of you to set a specific goal in regards to reading with your child(ren). And what's a challenge without prizes? We will have at least two. I have been offered a really great book for review called What to Read When: The Books and Stories to Read with Your Child--and All the Best Times to Read Them. For another reader I will purchase your next read-aloud book -- anything up to $2o that is available at amazon. So--think of a concrete goal that you can fulfill in the month of April. You can spread the word on your own sites if you want. Then on April 1, I'll have a Mr. Linky here where you can link up your post stating your goal. The last week of April, I'll have another Linky for you to post your goals (and perhaps just for fun, a goal for next month). For more info and sign-ups, click here. 7-year-old daughter: I've been reading her one book everyday, and she's been reading one book to me. We'll bump it up to two each, maybe at two different times of day so she doesn't get to wiggly. 9-year-old daughter: We read together every night--she reads one page, and I read one page. Right now we're reading Sammy Keyes and the Skeleton Man, so I think we'll just continue with that. 12-year-old son: I think I'm done reading out loud to him, so we're going to read Larklight at the same time and then talk about it and write a post about it sometime in April. 14-year-old daughter: I get quite the look when I suggest she and I read the same book. I told her I would read anything she picked, and she just laughed wickedly and hasn't picked anything. All the more reason to savor the excitement of the younger ones. We have both read the Uglies series and Twilight, so I don't know what the big deal is. Whatever!! I've joined Twitter. To be honest my main motivation was so that I could get extra entries for give-aways!! If you are a Tweeter (or whatever you call it--I don't know the proper jargon as of yet), I invite you to follow--you can just click on the little bird to the left. I don't think the hosts of giveaways are going to think much of my tweeting if I only have a few followers! Oh, I should mention that now that I'm on, I think it's pretty cool. I will probably update thoughts on what I'm reading, and who knows what else. I don't know exactly what I'm doing yet, but it doesn't seem too hard. And if you don't want to follow me on Twitter, that's alright--I'm just happy you have visited me here! I've only got one post up so far which is for the National Poetry Month Giveaway at Drey's Library. Six poetry books!